My last post showed views inside and from the Gateway Arch in St. Louis made with a fisheye lens. This one is all portraits of the soaring stainless steel structure itself. This view is from ground level just in front of one of the in ground lighting wells that illuminate it at night. Part of downtown St. Louis shows inside the world’s tallest arch. The Mississippi riverside is behind me. 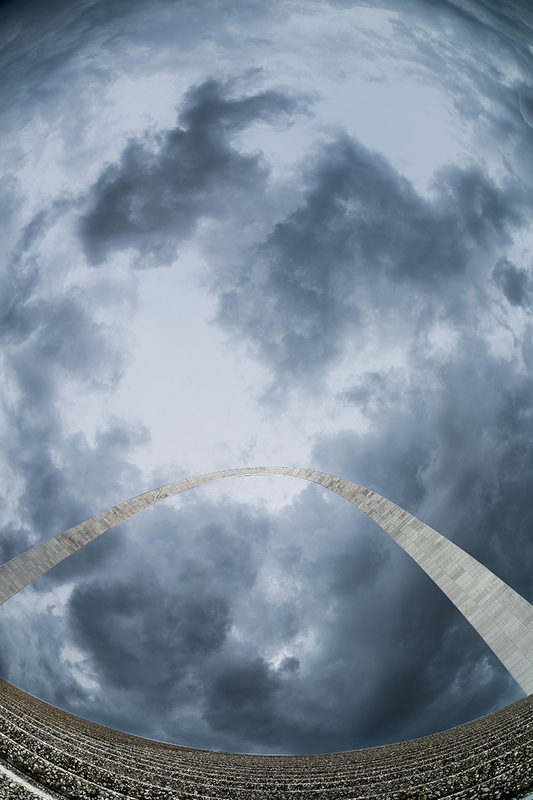 The 630 foot tall Arch was designed in 1947 by Ero Saarinen in the Structural Expressionism style of architecture. The shape is similar to the arc a piece of chain suspended from each end forms naturally. 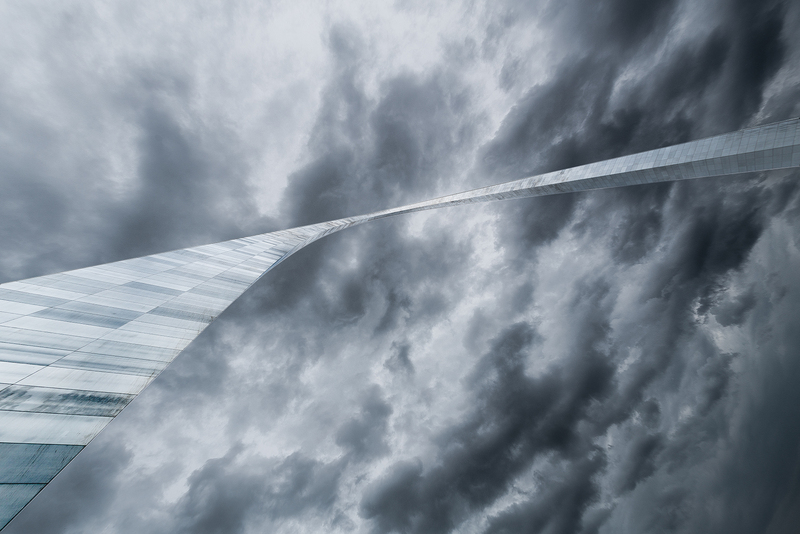 The Arch spans stairs that descend from it to the Mississippi river. 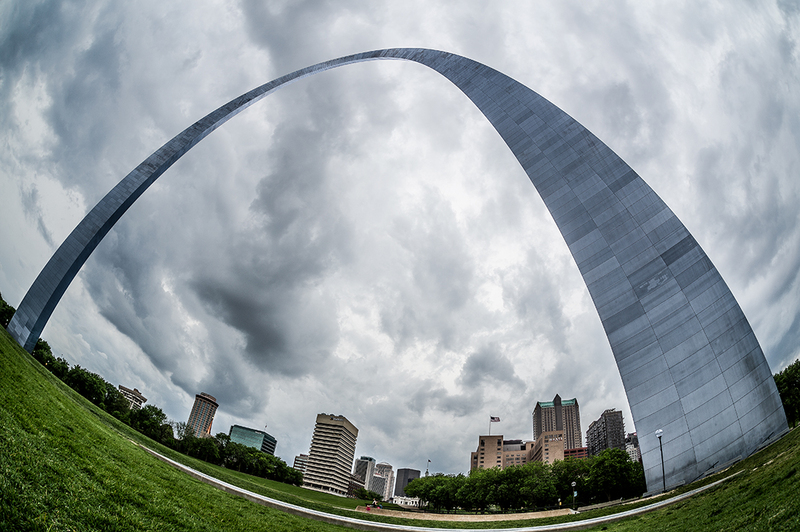 I chose the 15mm 180º view fish eye lens to purposefully curve them as a compliment to the shape of the Arch. Construction started in February of 1963. It was completed in October of 1965. This is my fourth trip to the tallest man-made monument in the United States. Every time I visit, I see a different way to picture it. Point of view is always important. In this photo, my back is resting on the edge of the Arch, my head and camera are tilted up its length. 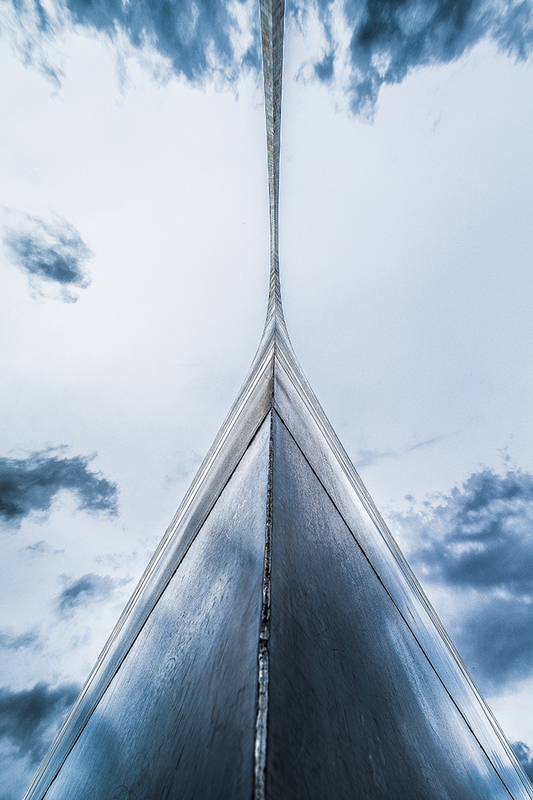 I love the weathered look of the steel and how fluid it appears against the angry sky.